Ready to register for ProgressNEXT 2019? Go back to the event website here. Reap the benefits of sponsoring the premier conference for application development professionals. ProgressNEXT is a global gathering of Progress customers and partners with a common goal—to deliver on the next generation of business apps for their organizations. It’s four days of in-depth sessions, workshops, training and networking around leading-edge topics such as mobility, modern UI, web experience, healthcare apps, predictive maintenance, the Progress® OpenEdge® platform and much more. A global gathering of Progress customers and partners with a common goal: to deliver on the next generation of business apps for their organizations. Progress technologies are used by 140,000 enterprises and nearly two million developers. You’ll have the opportunity to showcase your offering to a broad spectrum of targeted, qualified customers and partners. This is the one event where you will have prolonged access to hard-to-reach Progress executives and decision makers from partners and end users. Spotlight your business through sponsorship. ProgressNEXT attendees come specifically to learn how to enhance their Progress solutions and stay on top of the latest technologies. Your offerings will be in front of a large, diverse group of people who are ready to buy. ProgressNEXT presents a unique opportunity to tell your story to qualified buyers one on one. Establish that invaluable personal connection and dramatically speed the sales cycle. ProgressNEXT is not only the ideal venue to meet new customers, it’s ideal for uncovering opportunities you didn’t know existed like joint development partnerships or other business alliances. Infor is an enterprise software provider and strategic technology partner for more than 90,000 organizations worldwide. Our software is purpose-built for specific industries, providing complete suites that are designed to support progress—for individuals, for businesses, and across networks. We believe in the beauty of work, the importance of relationships, and the power of ideas to drive significant positive change. Born out of the rigorous requirements of the financial services industry in 1987, today ISCorp has global reach and deep expertise across Healthcare, Financial Services, and Manufacturing. 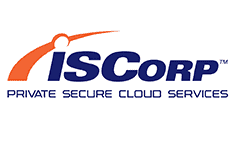 At ISCorp we are proud to carry the distinction of Progress Service Provider Partner and the designation of preferred private cloud hosting partner for North America. For almost 25 years we have been helping companies transition to SaaS, engaging at the executive level, solving pricing, sales, and end user adoption. Let us help you put focus back on your business. Modernizing large and complex Progress applications can be difficult. Servoy knows this because we have helped many companies with our platform while keeping their existing business logic and backend in place. Our platform enables you to rapidly create and deploy a superior UX and a modern HTML5 frontend for your Progress app. With Servoy’s Appsurance program, software companies can be confident that their job will be completed in a fixed timeframe and budget. If you have a complex Progress application that you are looking to modernize, you owe it to yourself to come talk to us to find out how we can make your transition to cloud, mobile and responsive a sure success. TOTVS is the top provider of business solutions for companies of all sizes, providing management software solutions, collaboration and productivity platforms, hardware and consulting services, with absolute leadership in the SMB market in Latin America. The Company was the first IT company in Latin America to go public, and it is listed on Bolsa de Valores de São Paulo - B3 Novo Mercado segment, under the ticker TOTS3.With over 50% market share in Brazil, it is ranked by Interbrand as the 20st most valuable brand in Brazil. TOTVS is present in 41 countries with more than R$2 billion in revenues and 7.9 thousand employees. For further information, visit www.totvs.com. 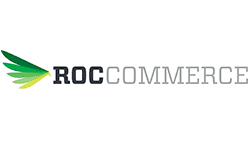 ROC Commerce, the complete omni-channel commerce solution, is the leading enterprise ecommerce platform for both B2C and B2B customers. The platform was designed with client success in mind – designed to produce strong revenues, increase profitability, and deliver a maximum return on investment. For more information visit www.roccommerce.com. Siteimprove transforms the way organizations manage and deliver their digital presence. With the Siteimprove Intelligence Platform, you gain complete visibility and deep insights, empowering you and your team to act with certainty. Imagine the day where every aspect of your digital presence operates as intended: your brand is consistent, errors are a thing of the past, and website issues are always prioritized. With Siteimprove by their side, more than 6,000 organizations around the world outperform the status quo every day. For more information visit https://siteimprove.com. Ucommerce is a powerful .NET based ecommerce platform that is seamlessly integrated into four industry leading web content management systems. Ever since our foundation in 2009, our philosophy was to create an open platform by default, extensible by design for each unique commerce project. Currently we are the leading platform for content and commerce designed to grow with your business needs. So whether it is a simple storefront or selling complex solutions that require multilingual, multi storefront, multi currency and millions of different price points, Ucommerce has it covered. Whether you are a B2B or B2C, with complicated discounting, Ucommerce platform will support you and enable you to succeed. Cyberscience has been delivering powerful business intelligence solutions to OpenEdge partners and customers for over 20 years. Cyberquery, our flagship product, addresses the full spectrum of business intelligence requirements by providing an easy-to-use, high performance reporting and analytics system. Cyberquery helps you to leverage your entire IT investment by enabling information to be easily accessed and distributed, providing the right information, to the right people, at the right time. That's the power of Cyberquery. More than 1,800 customers worldwide rely on Logi Analytics. The company is headquartered in McLean, Virginia. Learn more at www.logianalytics.com and join the conversation @LogiAnalytics. Sterling B2B Group is the industry leading payment processor dedicated solely to helping B2B companies receive payments. We automate cost reduction and increase cash flow with streamlined payment processes while leveraging our proprietary Interchange Management® Technology to assure the lowest overall cost on every transaction. Adistec has become a leading Value Added Distributor in Latin America and the Caribbean by providing IT Solutions 100% through resellers. We have a professional team specialized in Datacenter and Security and a portfolio of leading brands. QAD is a leading provider of flexible, cloud-based enterprise software and services for global manufacturing companies across the automotive, life sciences, consumer products, food and beverage, high technology and industrial manufacturing industries. Nisum is a preferred advisor to leading Fortune 500 brands, and is a global business & technology consulting firm. Nisum enables transformation for industry-leading brands, building strong omnichannel commerce solutions between B2B and B2C clients and their customers via advanced technologies. Founded in 2000 and headquartered in Southern California Nisum serves their clients by focusing on their motto Building Success Together®. At the intersection of business and technology, Nisum's strategy, management and technical expertise results in integrated solutions that deliver real and measurable growth. At White Star Software, OpenEdge databases are our only focus. We’ve lived and breathed the Progress DBA life for 30 years and we still love it. Our tools are built by DBAs for DBAs and when you work with us, you can be confident that no matter your needs, a senior DBA will be there to help you. We built ProTop to help our customers avoid costly downtime through comprehensive and proactive monitoring of their OpenEdge environments. If it’s important, our agents monitor it, while consuming an insignificant amount of system resources. Roundtable Software delivers the leading Software Configuration Management solution for Progress OpenEdge development. Fortune 500 companies to SMBs worldwide trust Roundtable TSMS and its complementary solutions to manage the entire software development lifecycle of their proprietary and purchased applications. Our solutions reduce time-to-market, improve product quality, and ensure IT compliance. Consultingwerk supports application partners and end customers by providing consulting services for every phase of application development and modernization projects throughout the lifetime of a business application. We are the leading provider of independent OpenEdge development tools for application modernization, application architecture, OpenEdge GUI for .NET, Mobile and Web applications. App Technologies is a software development services provider to the Progress Software markets. We specialize in developing integrated web-based business applications utilizing our proven web business application development framework. From initial design through development and deployment, we provide organizations with the proven experience to successfully enhance their business application platforms. Smooth Fusion creates usable, secure, and elegant custom software while striving to make the process painless for our customers. Implementing Microsoft technologies for more than 17 years, and Sitefinity CMS for nearly a decade, Smooth Fusion serves well-known brands from coast to coast and is ready to serve you. Bayshore Solutions is an end-to-end digital growth agency that provides customized branding, web development, e-commerce, hosting, and digital marketing solutions for medium to large enterprise companies seeking to grow their business by utilizing an evolving methodology built over 20 years and implemented by a specialized, cross-functional team. New Venture Software is a first-class software consultancy and a Progress Telerik DevTools, KendoUI, NativeScript and Sitefinity Professional Services Partner, specializing in helping global enterprises solve complex problems using digital technologies. JKT – a Global IT services company providing value-driven services & solutions. A Progress Gold Service Delivery Partner and a market leader in providing end-to-end application, database, integration and legacy transformation services to multiple industry domains. Athracian is a solutions provider for the Web Content Management space. With the core of the team having 30+ years of combined experience in developing the Progress Sitefinity CMS, the company has unique advantage in providing bespoke solutions for wide range of verticals and scenarios that apply for the enterprise. How can digital companies scale content creation without sacrificing quality? nDash’s software and service solutions exist to help great brands tell their story more effectively and consistently. How? By recruiting, building and managing a world-class writing team on your behalf. nDash provides content creation software and services to the world's leading brands. Backed by a community of expert writers, the nDash platform has helped companies like LinkedIn, Hitachi, and HubSpot scale their content creation without sacrificing quality. To learn more about our software and service offering - and to see why we've achieved a 90% customer satisfaction score - please visit www.ndash.co/NEXT. Xweb is a company whose objective is to integrate information and communication technology solutions, giving value to its customers through a chain of distributors.